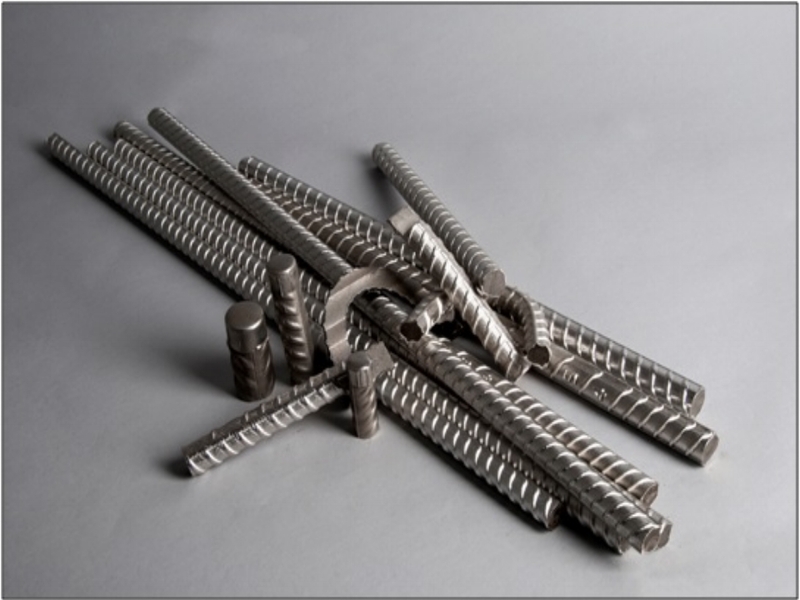 Cladinox stainless clad products are the outcome of a unique chain of advancements over a 30-year period by the same author in bimetallic fusion, culminating in what may well be the final and definitive technology in this still globally unique steel-making sector. It is AASHTO specified and has been used by US State Departments of Transportation over the last 2 decades. The latest generation technology was patented in 2010 across every continent: Cladinox is not only the future of cost-effective +100 year life infrastructure, but the future of steel. The video shows a Cladinox billet being hot rolled into 19mm SCR through a series of rolling mill stands and onto the cooling bed, in one of the USA's most prestigious and successful steel groups' reinforcing bar rolling mills, in December 2012. We respect your privacy and will not pass on your details to any third parties. In the simplest of terms Cladinox is a stainless steel clad carbon core which has been hot rolled to produce an impeccably bonded steel; this bonding is truly revolutionary. Even partially hot-rolled Cladinox shows a strong metallurgical bond between core and cladding: demonstrated microscopically by the “Kirkendall Effect”: the atomic inter-diffusion of the carbon core into the stainless steel cladding and vice-versa across their common interface. The interface or “bond” containing both materials in its lattice structure grows during hot rolling and spans some 110 microns (0.11mm) in the finished product. This “new material” created at the interface is actually stronger than the stainless steel itself because of the stronger carbon steel atoms now contained. It means that Cladinox can never de-bond such as sometimes occurs with conventionally clad plate during heat treatment or during welding. 1. Cladinox starts off with a carbon steel billet and a stainless steel tube which are then tightly squeezed together as part of the patented technology. 2. This composite billet is then heated as part of a patented process during which impurities are removed to ensure that impeccable bonding will occur to form a perfectly bonded bi-metal end product. 3. Exposed carbon steel ends of the finished product can be sealed with a mechanically crimped on polyurethane pre-filled stainless steel end cap after cutting to length and usually prior to delivery on site. Otherwise end sealing can be undertaken on site. Cladinox meets all your needs and more, and at costs for which you have most likely already budgeted. Cladinox is the ultimate corrosion-resistant steel which can empower you to combine in a single steel bar, section or plate all the properties you require for a particular project. Key Features of Cladinox: •Un-damageable either during its installation or service life •A true “designer steel” enabling a high tensile core and very high corrosion resistance to be combined in a single bar such as for Studs and Studding for Oil & Gas pipelines •SS cladding thickness can be specified from 175µ min •Can be roll threaded •Can be welded •Can be stored, bent and cut on site as with black bar and if required stainless steel end caps pre-filled with PU can be mechanically crimped on the ends as supplied, or on site •Cladinox reinforcing bar welded structures can be supplied to drawings. CladinoxSS is in one of the final 3 consortiums out of 120 competing companies in the @SellafieldLtd #GameChangers @NuclearAMRC Challenge!